The French Pyrenees resort of Cauterets (pictured above at the weekend) is posting the deepest base in France at 4.5 metres (15 feet) after huge snowfalls in the region over the past fortnight. 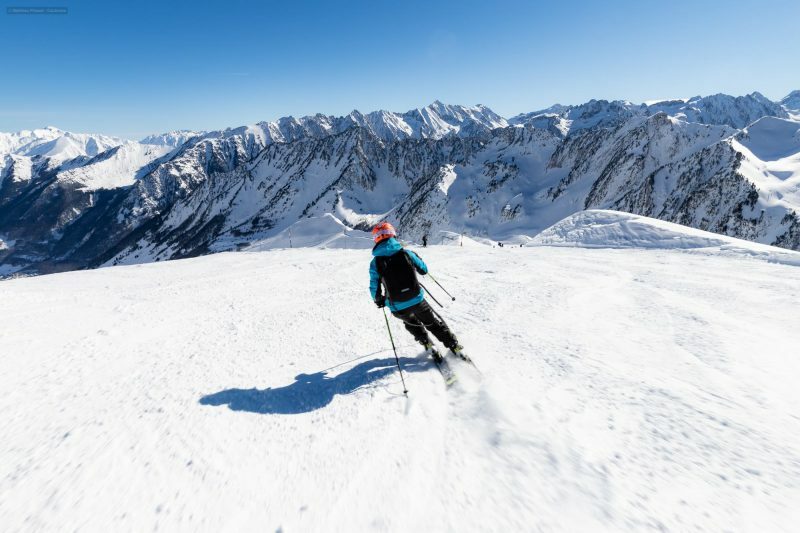 The region had been struggling for snow cover on lower slopes for the first six weeks of the season, which were dry and warm, but massive snowfalls have completely transformed conditions in Andorra, Spain and the French Pyrenees. Cauterets has reported 2.3 metres (7.6 feet) of snow in the past 72 hours alone. It has been snowing heavily in many areas of the French Alps too though, just not quite so much. Flaine and the wider Grand Massif region reports a 3.2m (10.6 feet) base, the second deepest in the country, Morzine 3.1 metres (10.3 feet). Villard de Lans has posted the biggest snowfall in the region in the past week – 1.8 metres (six feet). The snow has now largely stopped falling in both mountain ranges with skies clearing and the avalanche danger, though still significant, down from its highest level a few days ago.